I just started to crochet over the holidays this past year and well, I started out with just 3 crochet hooks and one stitch holder that my mother kindly gave me. It works but at times, I wish I had more so that my projects could be more flexible. Luckily, I was able to get my hands on TenderHeart Crochet's Ultimate Crochet Kit, which made things much easier and kept my projects organized. 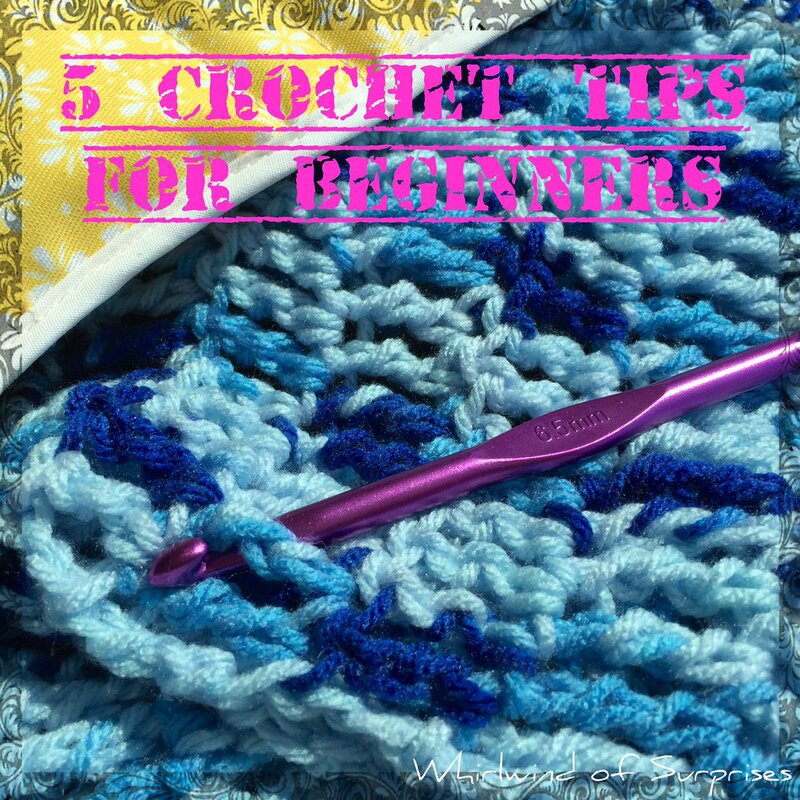 Plus, I'll be sharing my 5 Crochet Tips for Beginners that make it easier for you to learn. 1) Create a test swatch -As a beginner, our tension tends to vary until we get the hang of things. Creating a test swatch will give an idea of how many stitches you need to create a certain size. 2) Don't be afraid to unravel -Part of a beginner's experience is trial and error. Inevitably, a stitch will be missed or an extra stitch made. This one time I had made about 8-10 inches of progress before I realized I missed a stitch. Sometimes, you just have to unravel some of it to figure it out again. 3) Equipment -You want to have a complete set of hooks, which you'll find in Tender Heart Crochet's Ultimate Crochet Kit. 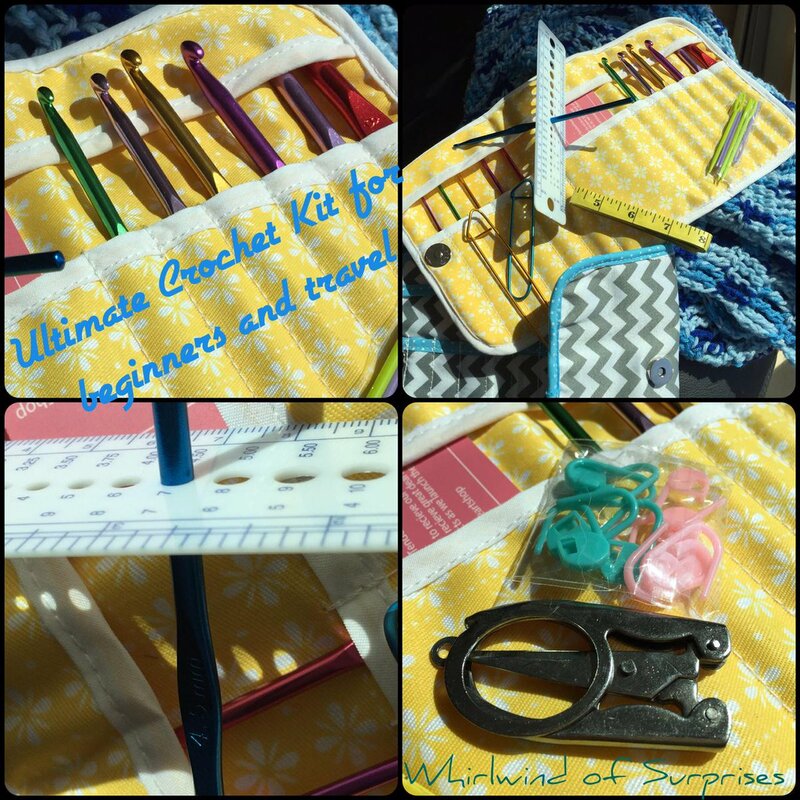 It's easy to go out and buy a few hooks but at the same time, when I received the Ultimate Crochet Kit to review, I loved how it had everything in it. In a gorgeous travel fabric case, you'll find a complete crochet hook kit (12 hooks from 2mm to 8mm), 2 aluminum stitch holders (3.5", 4.5"), 10 stitch markers, 6 Crochet Yarn needles (9cm, 7cm), 1 row counter (2.2cm), 1 measuring tape, 1 knitting needle gauge and ruler, and 1 pair of folding scissors. I personally love the case (7.9" x 1.2" x 4.7") as it has a flap to protect the hooks from catching onto anything else or falling out of the holder. The closure is a snap magnetic closure that keeps things secure. For that reason, this kit is great for all, not just for crochet newbies but also for those of us who like to crochet while traveling. The price is fair for the quality and number of the items in the kit. You have everything you need to crochet anywhere, just grab your yarn and the kit and go! 4) Yarn Position -I tend to keep my yarn in my lap or beside me as I crochet. However, I keep it in a plastic bag with handles so that I can keep it somewhat protected from the pups' fur and dust. Plus, it makes it easier to pack it and go! It also makes sense to unravel the yarn and roll it into a ball to avoid kinks as you go along. Take that extra time and avoid the hassle later. 5) Safety Pins -Oh, do I ever love safety pins. Most often, they don't come with the hooks and in my case, my mother gave one to me. In the Ultimate Crochet Kit, two come with the kit and they work great to hold your position and stitch when you need to take a break. I never had time to make anything in one sitting so it was great to have something to hold the stitch until the next chance I had to work on it. Do you crochet? What tips do you have for others?